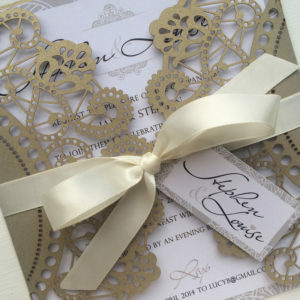 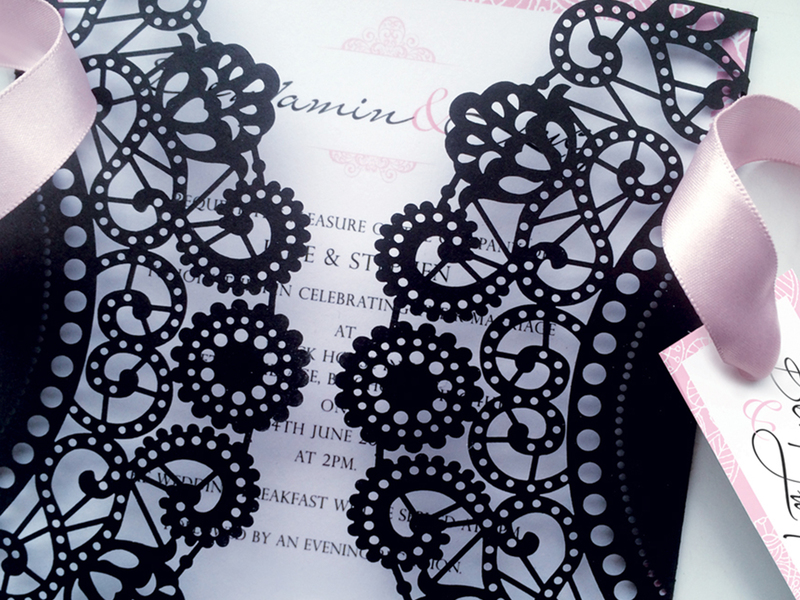 Our Parfum Wedding Invites offer the ultimate in sophistication. 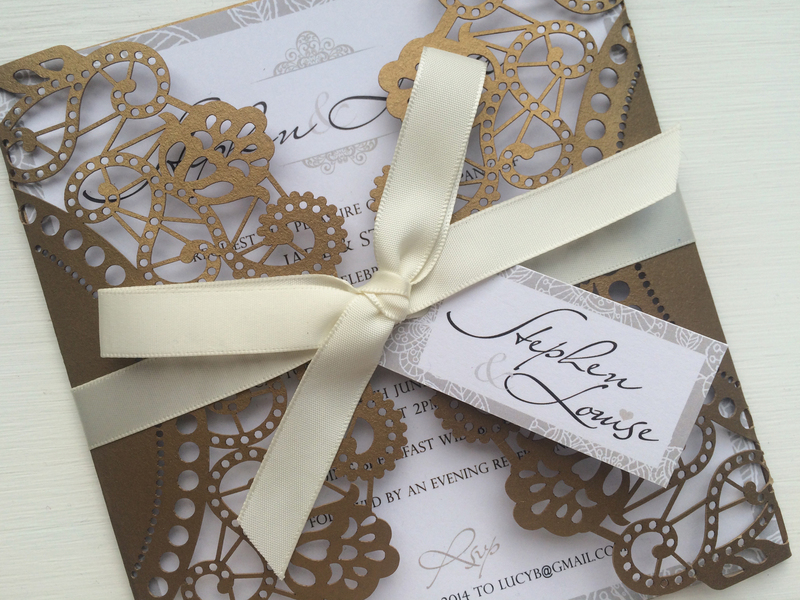 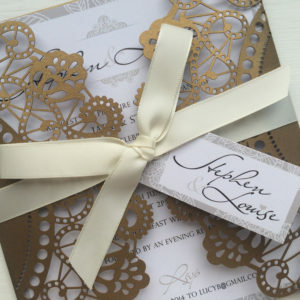 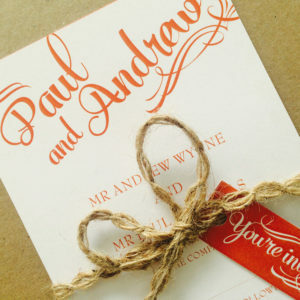 They come encased in a stunning laser-out jacket, tied with a beautiful silk bow and a personalised tag – so if you’re looking for invites with a real wow factor, these are the ones to go with. 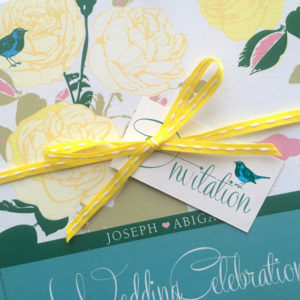 Untie the ribbon to discover the beautiful invite inside. 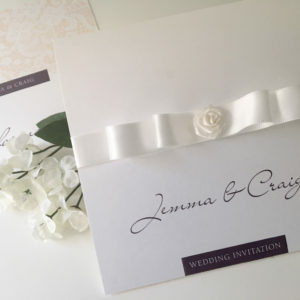 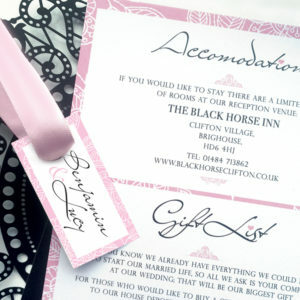 There’s space for all the details of your big day, with the date, venue and the names of your guests on the front, and space for your gift list and accommodation on the back. 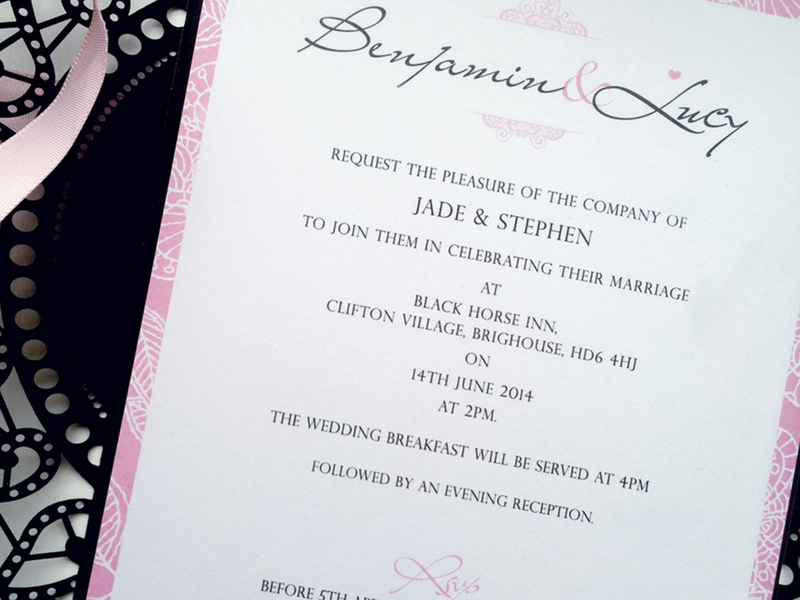 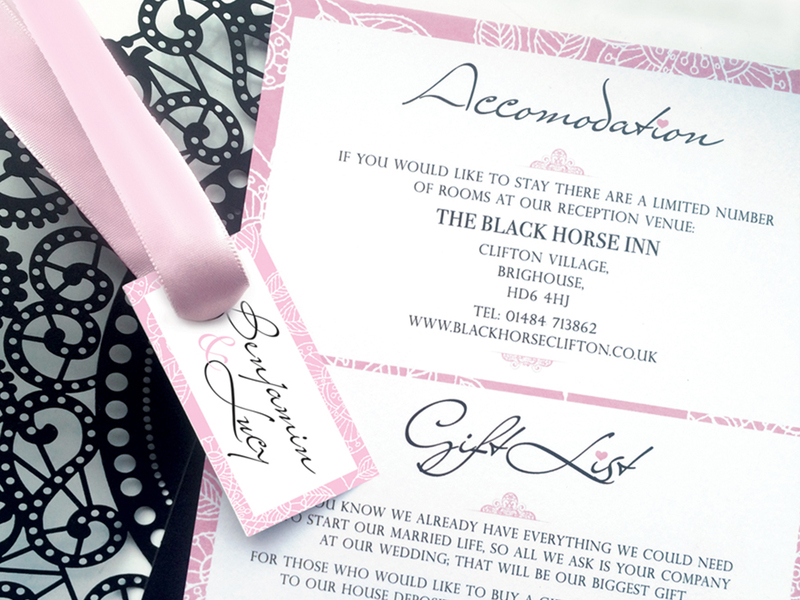 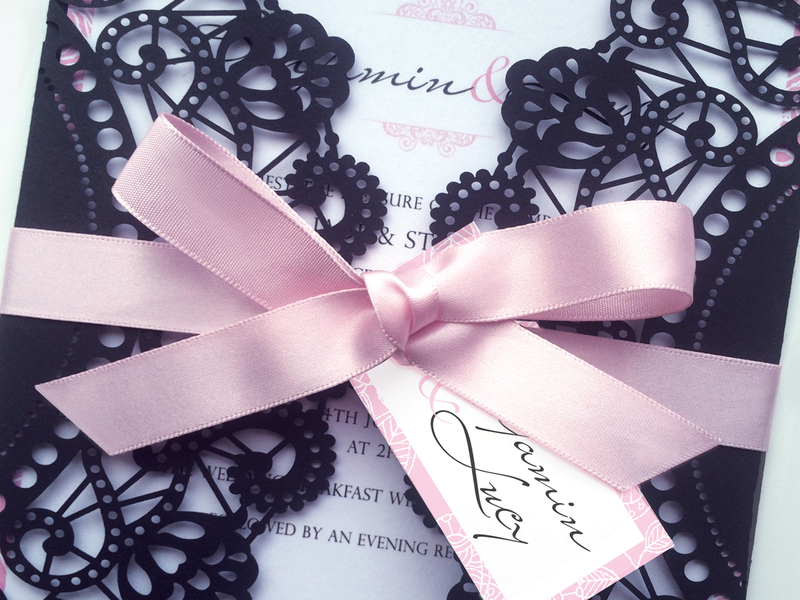 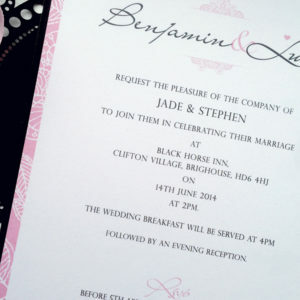 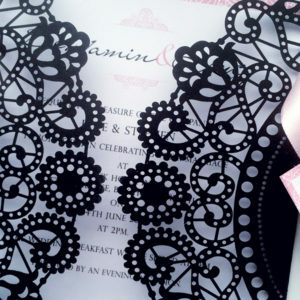 Our Parfum Wedding Invites look lovely in black and white, but we can change the colour to match your wedding colours. 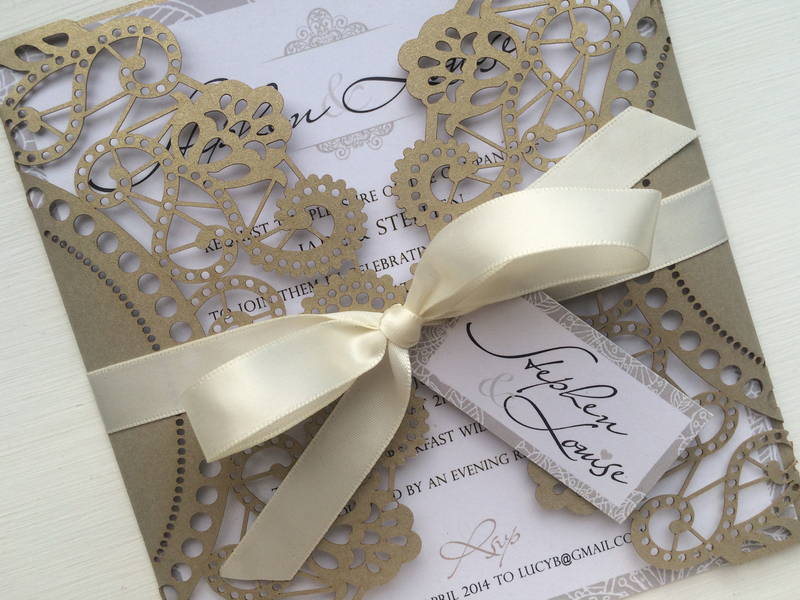 We are slightly restricted by the laser-cut outer, which comes in selected colours, but we can always make this white or cream, with your colours inside.